Discussion in 'Cables, Speakers, Accessories For Sale / Trade' started by fejnomit, Jan 21, 2018. 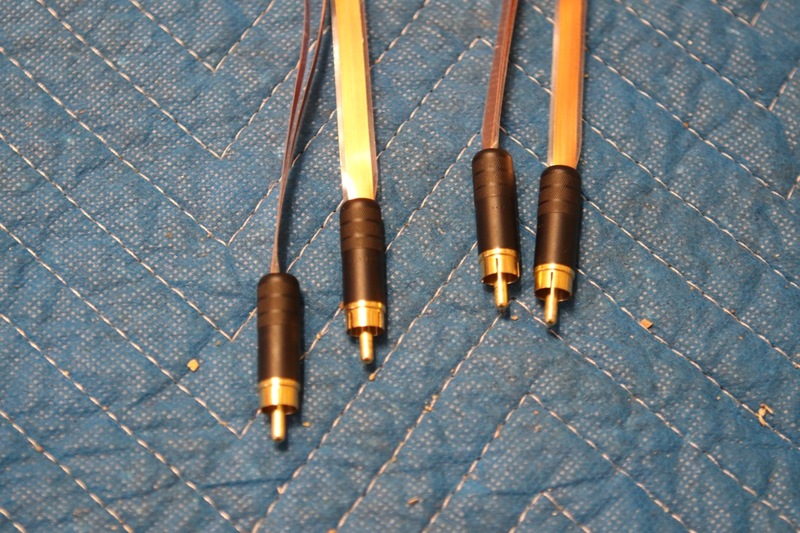 3 x 1m pairs RCA Switchcraft -> RCA Switchcraft - $399 new - asking $249/pr. 1 x 1m XLR (F) Alchemy -> RCA Switchcraft - $429 new - asking $289/pr. 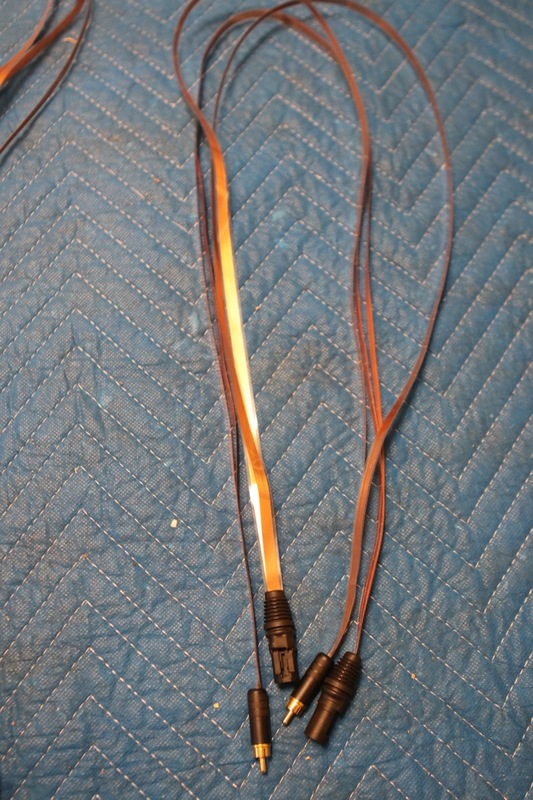 1 x 1.5m RCA Switchcraft -> RCA Switchcraft - $449 new - asking $309/pr. 1 x 2m RCA Switchcraft -> RCA Witchcraft - $499 new - asking $339/pr. There are a few creases here and there in the lengths of ribbon - inevitable with this design - but they in no way affect the sound. Slight signs of wear here and there as well, but on the whole they are in excellent condition - I baby all my SAA interconnects in their own bags when not in use and regularly treat the connectors with both Deoxit and Silclear. They are fully broken in and sounding truly excellent. 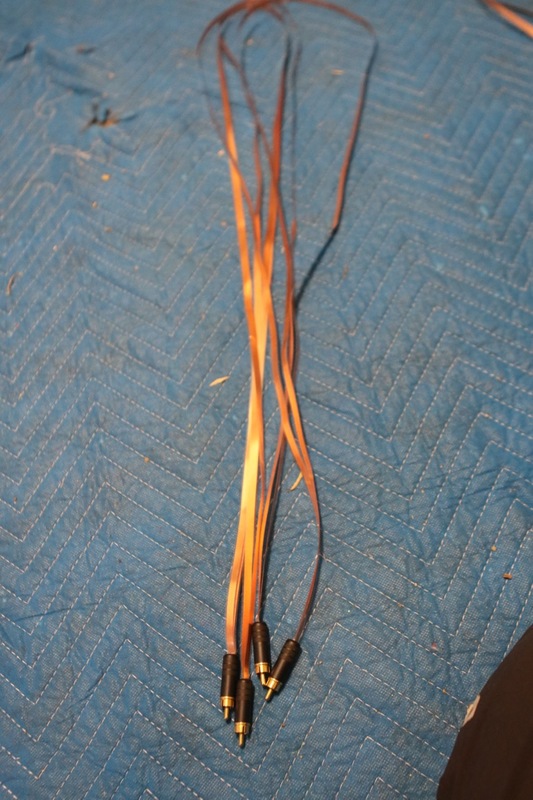 You will need to be somewhat more careful with them than with regular audiophile garden hose interconnects. 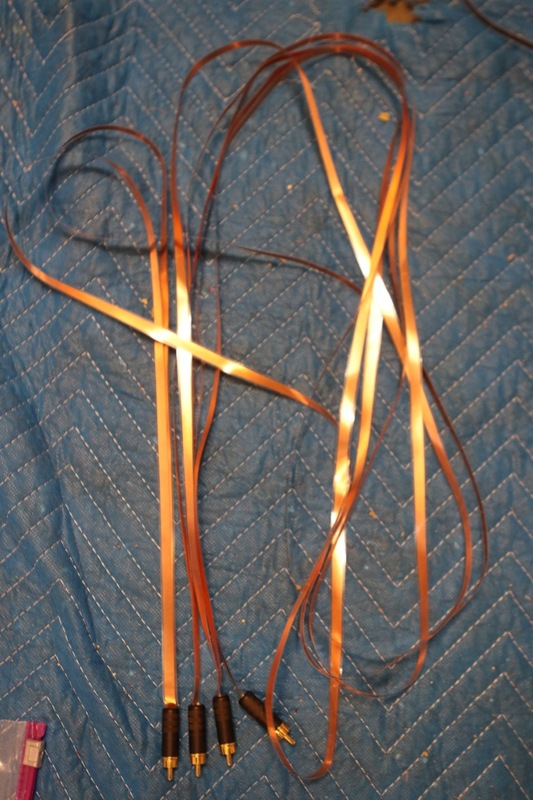 But until you've heard copper ribbon you can't really understand the negative effects of dielectric smearing on frequency extension and tone and the influence of the skin effect on PRaT. Note that the Switchcraft RCAs were chosen as the least smearing of all RCA interconnects. 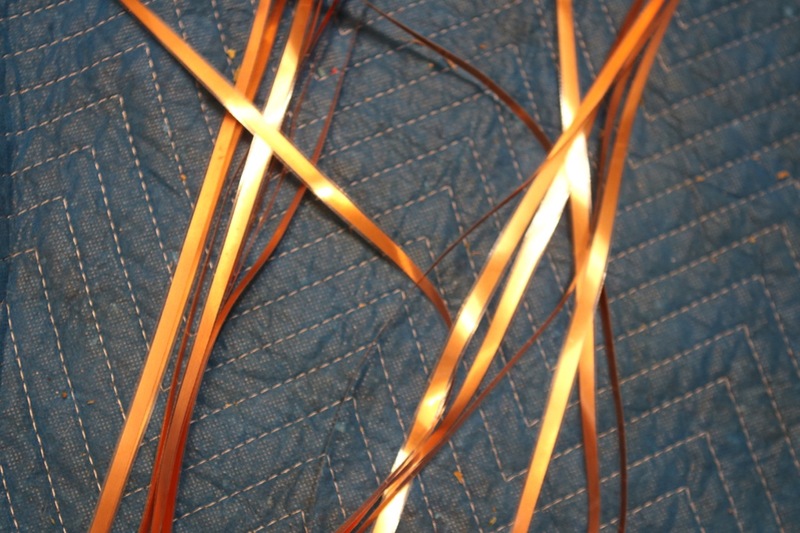 Pure copper, no plastic or rubber or other materials. 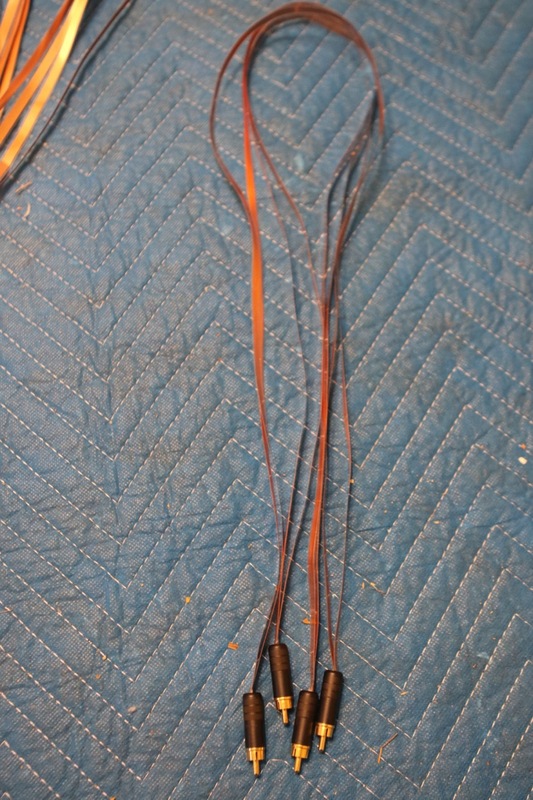 Silver soldered directly to the ribbons. 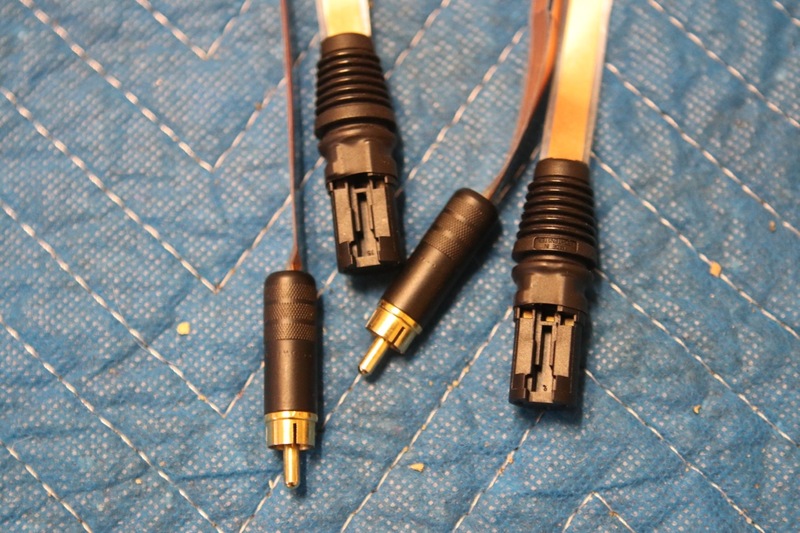 The Alchem XLR connectors are completely minimalist and stripped-down. Buyer to pay shipping and fees. Cheers and thanks for looking. 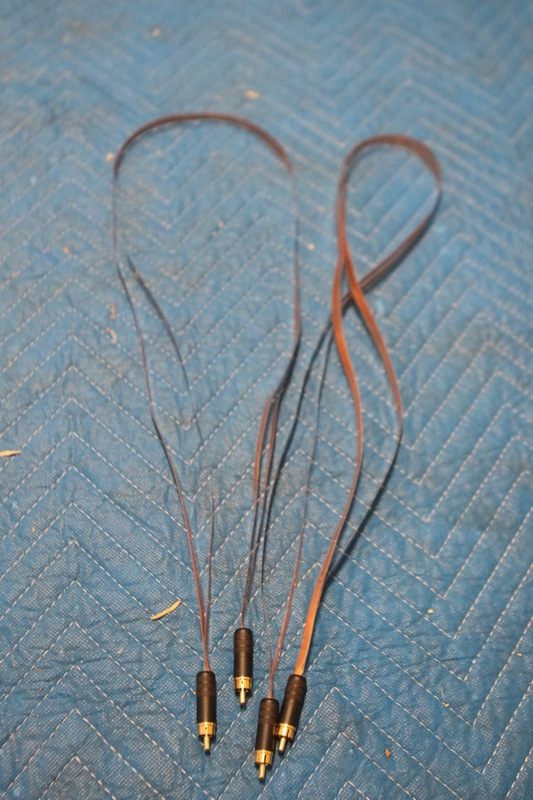 The Endorphin Ribbon Interconnects are the result of many years of refining a signal transfer device to meet the specific requirements of a headphone listening system and are the true audiophile way to transfer an audio signal from component to component. 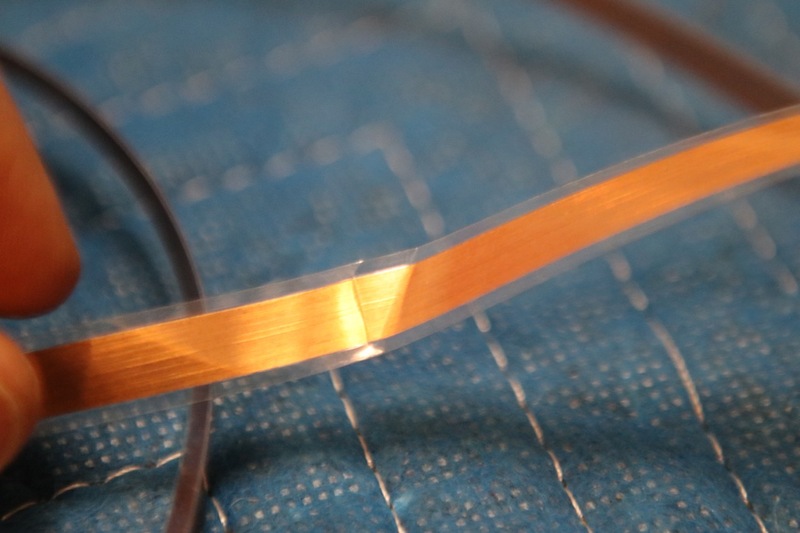 The combination of a specialized proprietary ribbon conductive formula, micro-thin dielectric and the extensive proprietary electro-chemical treatments, result in a signal transfer device that has proven harmonious with a broad range to headphone listening systems. 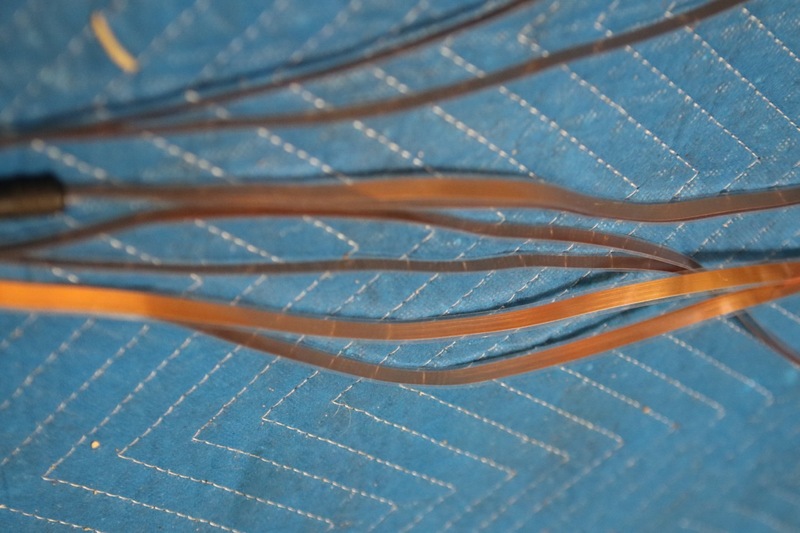 Construction: 2-conductor ultra-thin/pure proprietary ribbon hybrid conducting surface. 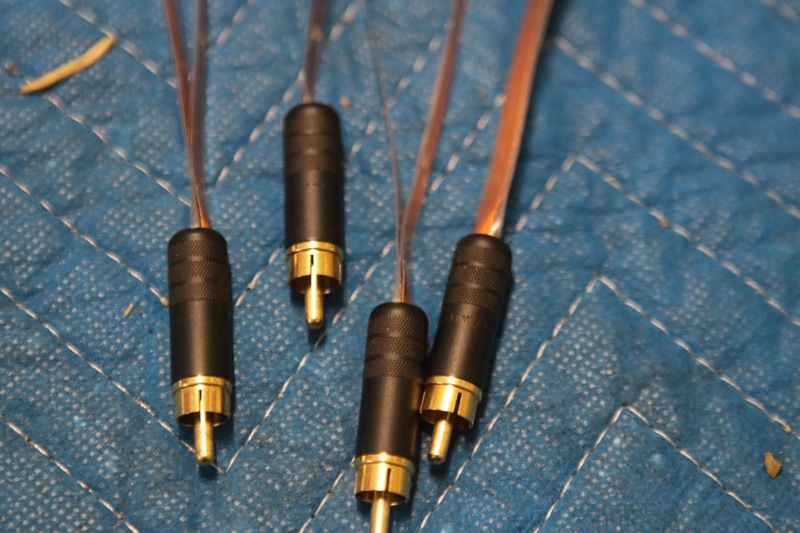 The Endorphin Interconnects incorporates proprietary contact enhanced professional Switchcraft connectors which transfer the audio signal in the purest fashion due to their synergy with our extensive treatment procedures. The Endorphin IC is assembled with our special handcrafted process which uses the absolute minimum amount of non-conductive material for optimum headphone system performance. 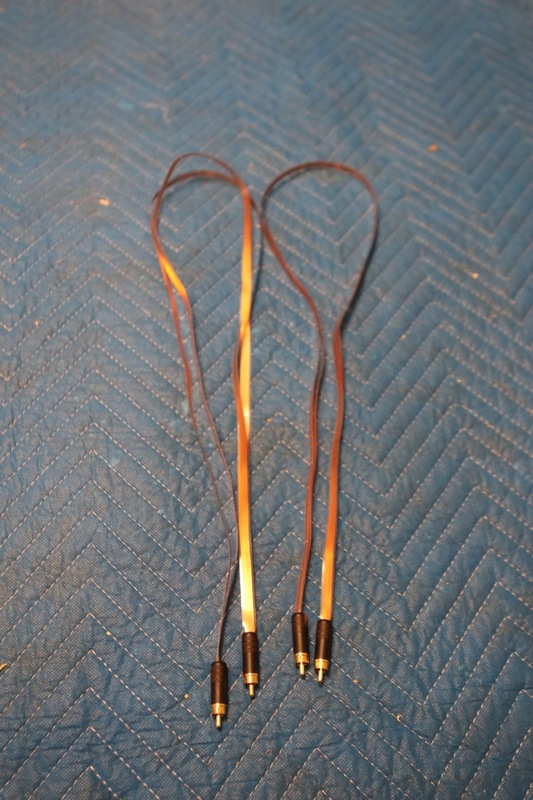 Sonic Performance: used in conjunction with the Endorphin headphone system cables the user can expect a rich, natural over all improvement in the full audio spectrum with excellent soundstage characteristics. Specific headphone performance will elevate revealing a deeper, punchier bass, more organic midrange and true natural upper frequencies specifically noticeable in vocal performance. In addition, a further Increase in definition and presents will bring the user close association with the impact of the music. 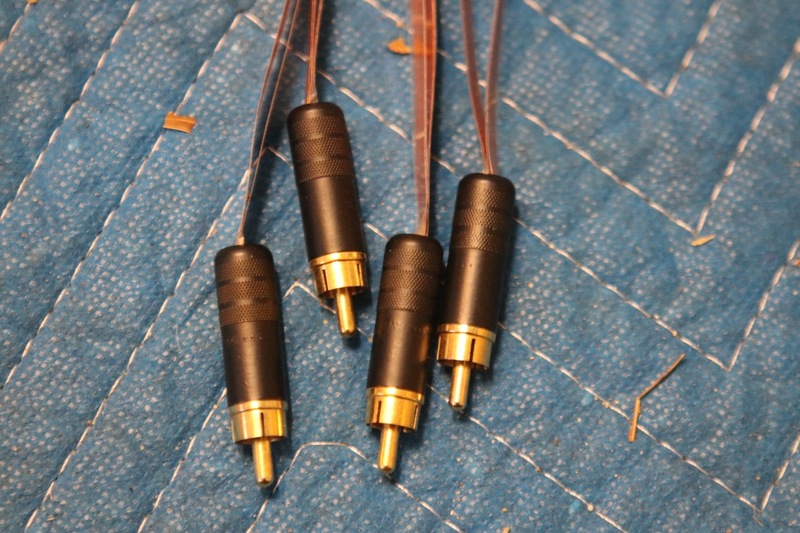 The Stefan AudioArt Endorphin Interconnects represent our constant dedication to performance enhancement of high end headphone systems through the thorough analysis of structural and electrical signal path properties.